AsiaSat 9 is a planned communications satellite of Asia Satellite Telecommunications Company, which was ordered in December 2013 from SSL. The satellite will feature 28 C-band and 32 Ku-band trasnponders and a Ka-band payload and will be stationed at 122.2° east. 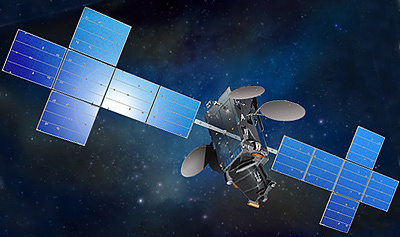 It will replace the aging AsiaSat 4. Besides the communication payload, the satellite was also to host a commercial meteorology payload for GeoMetWatch Corp. The STORM (Sounding and Tracking Observatory for Regional Meteorology) payload is a hyperspectral sensor designed to provide high-resolution soundings of atmospheric conditions, including temperature and humidity, for weather forecasting and storm tracking. It is based on NASA's cancelled GIFTS sensor. In April 2014, it was announced, that STORM was dropped from the mission due to lack of funding. The 6141 kg satellite was launched in September 2017 on a Proton-M Briz-M (Ph.4) booster.